Minecraft: Story Mode, Telltale's smash-hit adventure game set in the Minecraft universe, is coming to Wii U, and it's a lot sooner than expected. Players can access the first episode in the series, The Order of the Stone, this Thursday, January 21. The first episode will cost $4.99, and additional episodes wil cost the same. 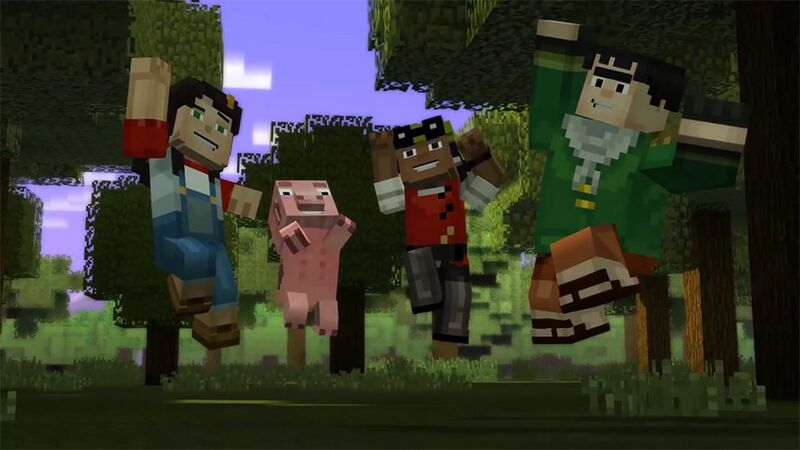 However, you can save a bit of money by grabbing the season pass, qhich allows access to all five Minecraft: Story Mode episodes for $19.99. Additional features exclusive to the Wii U version are off-TV play, screen mirroring, and touch controls.